Unlike the 2009 summer, Real Madrid have been rather quiet in the transfer market, not really bolstering their squad with more Galacticos, so far at least. On the other hand, Barcelona and Manchester City have been quite busy, although the numbers are far lower than the 2009 Florentino Perez rampage. For Memory’s sake, here are the men who were considered at one time or another the most expensive soccer players in the world. 1893 – Willie Groves – William Groves was the first player to be transferred for more than 100 pounds,the equivalent of 10,500 pounds today or 16,400 dollars. He transferred from West Bromwich Albion to Aston Villa, winning the league title with Villa in 1894. 1904 – Andy McCombie – Another Scottish player, McCombie left Sunderland to bitter rivals Newcastle United for 700 pounds, 70,000 pounds today or just under 110,000 dollars. He won the league titles with both clubs and remained with the Newcastle coaching staff after retiring. 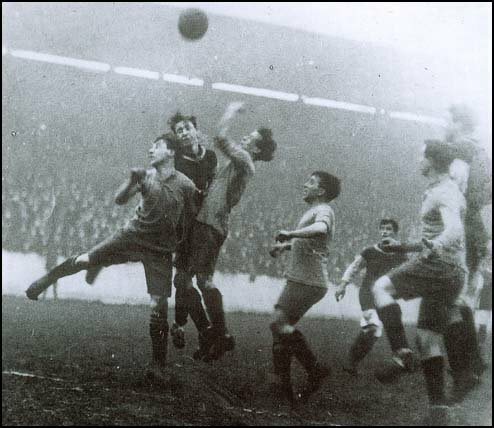 1905 – Alf Common – The first Englishman to be known as the worlds most expensive soccer player, becoming the first player to be worth a transfer fee of 1000 pounds – just under 100,000 today, about 150,000 dollars. Common also made a north-eastern move, leaving Sunderland for Middlesbrough, only six months after arriving at Sunderland from Sheffield United. Unlike McCombie, Common never won a league title. 1922 – Syd Puddefoot – Another Englishman who also played cricket for Essex. The England international forward made a move to Scotland from West Ham for 5000 pounds, 218,000 pounds today, 340,000 dollars. 1922 – Warney Cresswell – A season later, and South Shield born full back moved from South Shields to Sunderland for 500 pounds more than Puddefoot’s fee. He played there for five years before moving to Everton, winning two league titles there alongside legendary Dixie Dean. 1928 – David Jack – Another England legend, Jack was the first player to ever score at Wembley during the 1923 FA Cup Final while playing for Bolton. He left Bolton to Arsenal for a fee of 10,000 pounds – 540,000 pounds today, or just over 840,000 dollars. 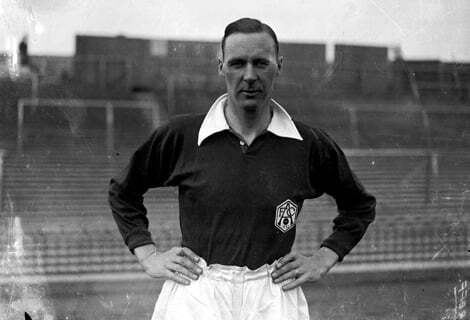 Jack scored 124 times for Arsenal and was the first player to win an FA Cup with two different clubs. 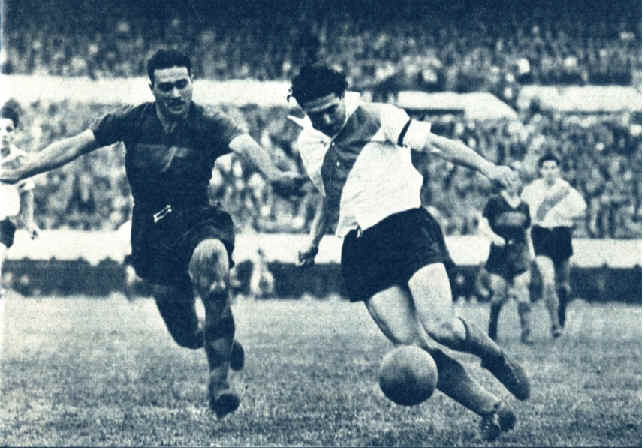 1932 – Bernabe Ferreyra – The first non-Brit to be the world’s most expensive player, the Argentinian forward was probably the first real superstar of Argentinian soccer. Ferreyra moved from Tigre to River Plate for 23,000 pounds – 1.2 million today, 1.8 million dollars. At River, Ferreyra scored 187 goals in 185 matches, one of only three players in the Professional era to average more than a goal a game. 1952 – Hasse Jeppson – Hasse Goldenfoot broke 20 years of Ferreyra’s reign at the top of the transfer charts, moving from Atalanta to Napoli for 52,000 pounds, which was actually less calculating inflation than Ferreyra’s transfer – 1.15 million pounds, just under 1.8 million dollars. The transfer fee earned him the nickname – “The Bank of Naples”. 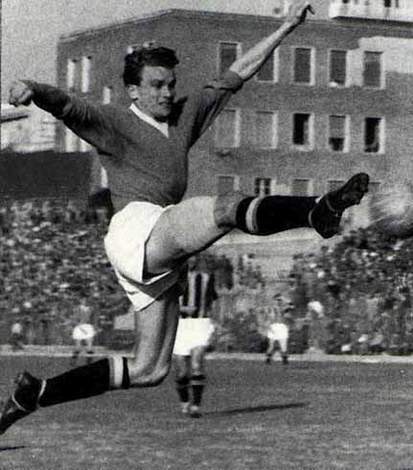 Jeppson also played with the Swedish national team in the 1950 World Cup, scoring two goals. 1954 – Juan Alberto Schiaffino – The Uruguay striker won the World Cup in 1950, scoring in the final match against Brazil. After starring at club level for Penarol, Schiaffino made the switch to Italy and AC Milan, leaving for 72,000 pounds – 1.5 million pounds today/2.3 million dollars. Schiaffino won three league titles with Milan and even played four matches for the Italian national team. 1957 – Omar Sivori – The Maradona of the 60’s gained his fame during his eight years playing for Italian giants Juventus, teaming up with John Charles and Giampiero Boniperti. Sivori arrived at Juve from River Plate for 93,000 pounds – 1.7 million today/2.6 million dollars. 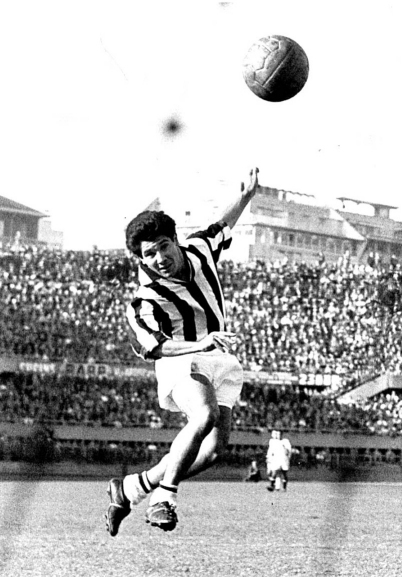 Sivori scored 134 goals for Juventus, winning three league titles and the European Footballer of the year award in 1961. 1961 – Luis Suarez Miramontes – One of Spain’s all time greats, Miramontes played for both Barcelona and Inter during his career, later managing Inter Milan on numerous occasions and also the Spanish national team. Miramontes became the most expensive player in the world when he transferred from Barcelona to Inter for 152,000 pounds – 2.5 million today/3.9 million dollars. With Inter he won three league titles and two European Cups during the Grande Inter period. He also won the European Championship with Spain in 1964 and the European Footballer of the year in 1960. 1963 – Angelo Sormani – A Brazilian/Italian striker who broke the record after moving from Mantova to Roma for 250,000 pounds – Just under 4 million pounds/6.17 million dollars today. 1967 – Harald Nielsen – Known as the “Gold-Harald”, the Danish striker broke the record in 1967, after successful seasons with Bolonga, winning Italy’s top scorer twice, when he was sold to Inter for 300,000 pounds – 4.4 million pounds/6.86 million dollars today. He never really succeeded with Inter. 1968 – Pietro Anastasi – Staying in Italy, Anastasi broke the record when Juventus bought him from Varese for 500,000 pounds – 6.46 million pounds/10.1 million dollars today. Anastasi’s greatest moment came in the 1968 European Championship Final, scoring a goal for Italy in their win over Yugoslavia. 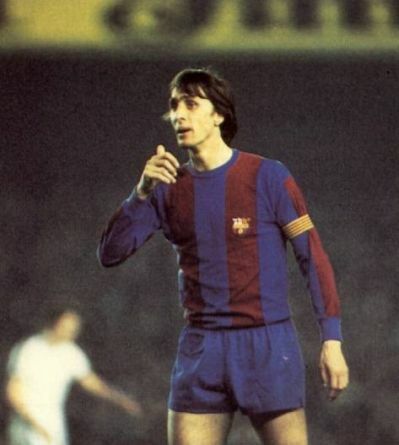 1973 – Johan Cruyff – Probably the greatest player ever to miss out on winning the World Cup, Cruyff broke the record in 1973 after moving from Ajax to Barcelona for 920,000 pounds – 8.2 million pounds/12.8 million dollars today. A legend with both clubs and in the Netherlands, Cruyff was probably and still is the best example of the thinking soccer player. He won three European footballer of the year awards and three European Cups with Ajax. He won one league title with Barcelona as a player (1974) and four as their manager. His biggest achievement was the 1992 European Cup. 1975 – Giuseppe Savoldi – Savoldi was mostly known for his time with Bologna, where he was one of Italy’s top strikers. He broker the transfer fee record after Napoli purchased him for 1.2 million pounds – 7.3 million pounds/11.4 million dollars. 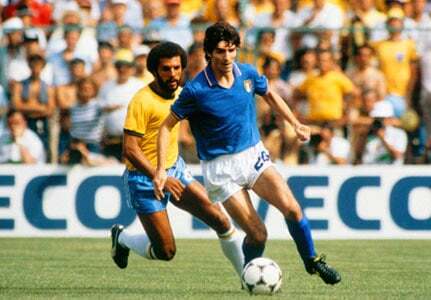 1976 – Paolo Rossi – Italy’s 1982 World Cup hero was purchased by Vicenza for 1.75 million pounds after being co-owned by Juventus and Vicenza. The deal is worth today 9.3 million pounds/14.5 million dollars. Rossi was suspended from the sport for two years after a betting scandal which according to some sources was made up but still forced Rossi away from the sport. Still, Rossi came back in 1982 to win the World Cup with Italy and win titles with Juventus. 1982 – Diego Maradona – The recently fired legend broke his own transfer record in 1984 – the only player to appear on this list twice. First, it was his transfer from Argentina to Barcelona in 1982 for 3 million pounds – 7.7 million pounds/12 million dollars today. His didn’t have the best of times at Barca, injured or arguing with the club’s president most of the time,as the brawl with Bilbao players his most memorable moment. Two years later Maradona was purchased by Napoli for 5 million pounds – 11.6 million pounds/18.1 million dollars. 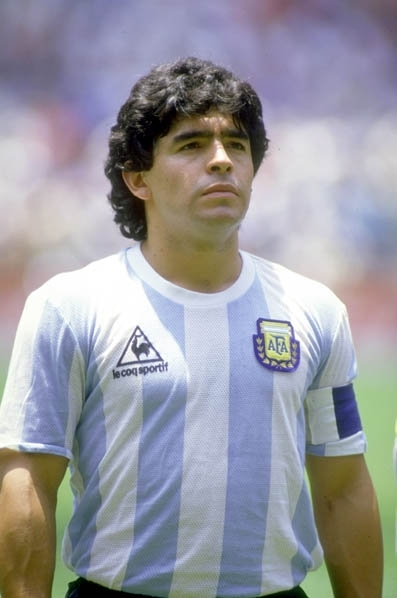 Along with devouring the world’s supply of cocaine, Maradona peaked at Napoli, leading the club to two Serie A titles and the 1989 UEFA Cup, and that small matter of leading Argentina to win the 1986 World Cup. 1987 – Ruud Gullit – After starring for PSV and Feyenoord, Gullit joined Van Basten and later joined by Rijkaard to form the famous Dutch trio that dominated Italy & Europe with AC Milan and the Netherlands. 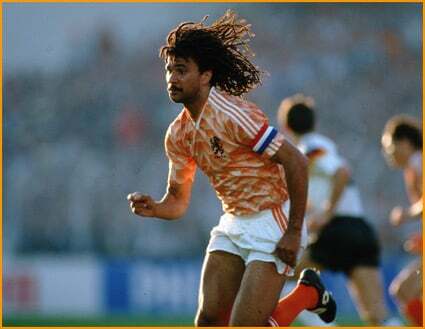 Gullit was purchased for 6 million pounds – 12.1 million pounds/18.9 million dollars today. With Milan Gullit won three Serie A titles and two back to back European Cups, the last team to win the title consecutively. He also captained the Netherlands to their only international title in 1988, scoring the first goal in their 2-0 win over the USSR, claiming the 1988 Euro. 1990 – Roberto Baggio – In a transfer that pains any Fiorentina fan to this day, Roberto Baggio switched the Violet Firenze club colors for Juventus’ zebra camiseta. 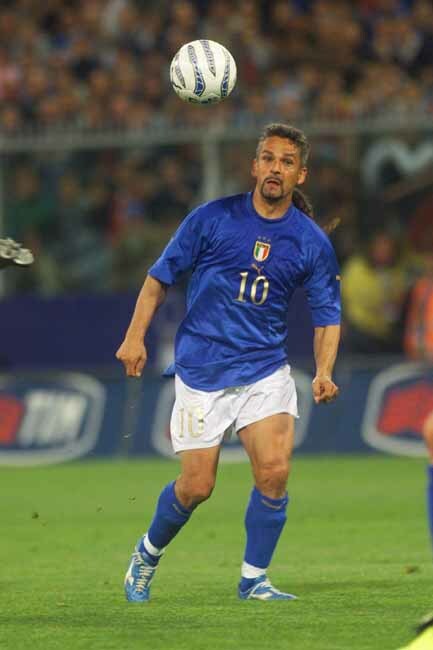 Baggio’s transfer fee was 8 million pounds, 13.1 million/20.4 million dollars today. He won only one league title with Juventus during a season he spent mostly injured, but was considered the best player in the world at the time, winning the FIFA World Player of the year in 1993. 1992 – Three Players – All involving Italian clubs – First it was French striker Jean-Pierre Papin, leaving Marseille after six incredible seasons with the club (134 league goals) for 10 million pounds – 14.8 million/23.1 million dollars today. Papin had a decent first season with AC Milan but injuries and age quickly pushed him out of the club a year later. Next that summer was Gianluca Vialli – After eight successful seasons with Sampdoria, including the 1991 league title and the 1990 Cup Winners’ Cup, Vialli left to Juventus for 12 million pounds – 17.8/27.8 million dollars today. After a rough first two seasons at Turin, Vialli blossomed in 1994-1995, helping the club win its first league title since 1986 and a year later its second Champions League. 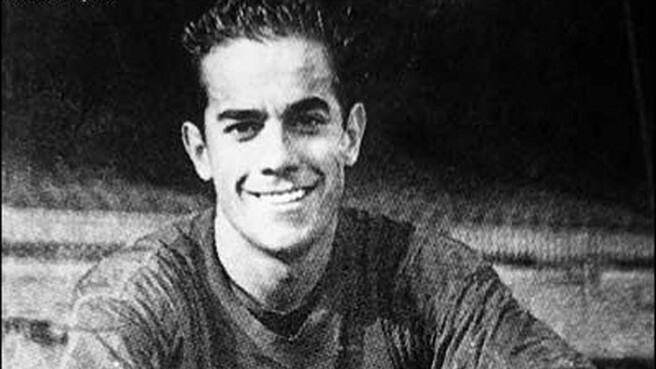 The Final record breaker that summer and one of the biggest flops ever was Gianluigi Lentini – The Torino winger who was bought by AC Milan for 13 million pounds – 19.3 million/30 million dollars in today’s money. Lentini is still playing at amateur level today. 1996 – Alan Shearer – A year after leading Blackburn to a historic Premiership title, Alan Shearer chose Newcastle (his hometown) over Manchester United, leaving for 15 million pounds – 20 million/31.2 million dollars today. Shearer could never get Newcastle that league title, but did score 148 goals in 10 seasons with the club until retiring in 2006. 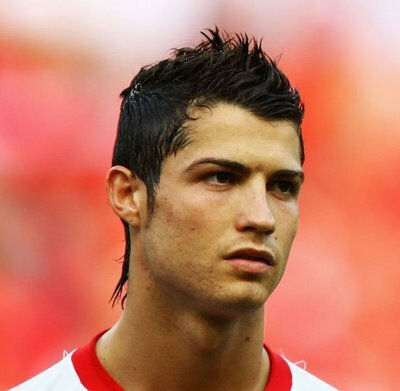 1997 – Ronaldo – Ronaldo had an amazing 1996-1997 season with Barcelona, establishing himself in about a year from a promising striker to the world’s best player, but wanted out for more money. He left to Italy, signing with Inter – a 19.5 million pound fee, 25.3 million/39.5 million dollars today. 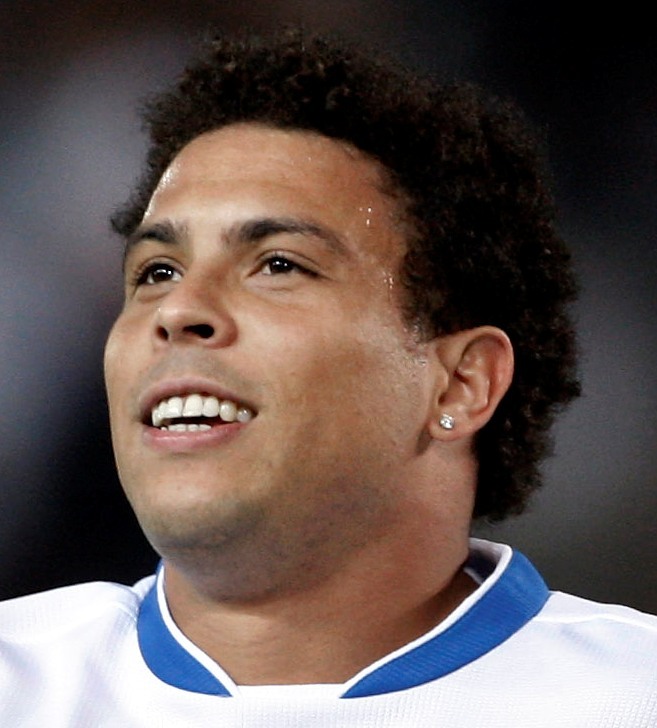 Ronaldo had a fantastic first season, but injuries ruined the rest of his Italian stay, until the 2002 World Cup which saw him make a Phoenix like resurrection, winning the title with Brazil. 1998 – Denilson – One of the bigger flops of all time, Denilson was purchased by Real Betis from Sao Paulo for 21.5 million pounds – 27.3 million/42.6 million dollars today. Denilson dazzled with tricks and his dribbling skills, but never helped Betis establish itself as a top club in Spain. 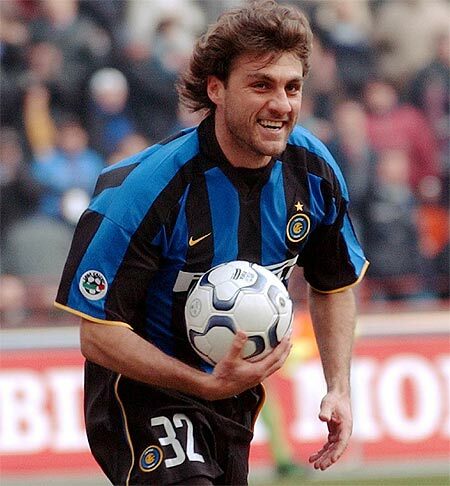 1999 – Christian Vieri – Vieri scored 122 goals for Inter during his six seasons with the club, but never helped the nerazzurri win a league title. He came from Lazio for 32 million pounds – 39.8 million/62 million dollars today. Vieri also scored 23 goals in 49 caps for the Italian national team. Inter was the only club he stayed with for over a season. He retired in 2009. 2000 – Two Players – First it was Hernan Crespo, who left Parma for Lazio. The transfer fee was 35.5 million pounds – 43.6 today, 68 million dollars. Crespo played only two seasons at the Rome based club, scoring 48 goals, before joining Inter Milan. Luis Figo was next, making the unthinkable Barca-Real switch, beginning the first Galacticos era at Madrid. He joined for 37 million pounds – 45.4 million/70.8 million dollars today. Figo helped Real win two league titles and one Champions League (2002), winning the FIFA World Player of the year in 2001. 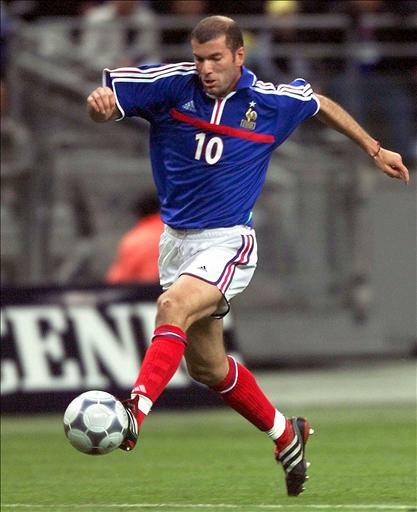 2001- Zinedine Zidane – I was born in 1982, so I never really got to see Maradona play during his prime. For me, along with the Brazilian Ronaldo (with Messi and Cristiano Ronaldo needing a World Cup win to join them), Zidane is the greatest player I have ever seen. A year after Figo arrived, Zidane’s arrival, backed by his World Cup and Euro triumphs with France, really made Real a super-team, at least on paper. He arrived for 46 million pounds – 55.3 today, about 86 million dollars. Zidane won one league title and one Champions League with Real Madrid and retired after the 2006 World Cup and his famous headbutting of Marco Materazzi in the final. 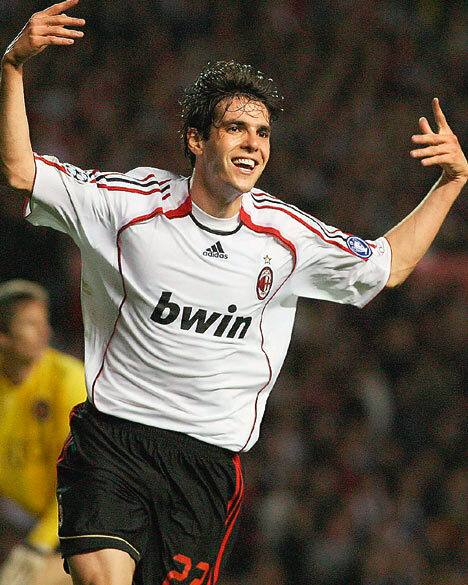 2009 – Kaka – The beginning of the “Galacticos 2.0” Project was signing Kaka, who arrived after six very impressive seasons at AC Milan, helping the club to one Serie A title and one Champions League trophy. He was signed for 56 million pounds, about 87 million dollars. So far, his time with Real hasn’t been exactly on par with expectations. He had a pretty disappointing World Cup as well. I just can’t see him succeed on a side with Cristiano Ronaldo, Kaka needs to be the main man. Speaking of Cristiano Ronaldo, he joined the new Galacticos project soon enough for a fee of 80 million pounds – 124 million dollars. Ronaldo, besides a few injuries and suspensions had another fantastic season individually – scoring 33 goals in 35 matches in all competitions. Still, Real failed to win the league and in Europe.